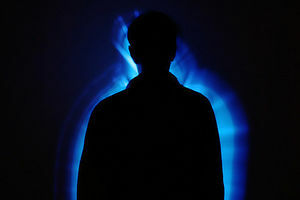 The Aura of Baiting is prized throughout Godville for its lovely dark blue color. It is often thought to be the color of a calm lake, and those under the aura's influence feel as though they are meditating next to one. For heroes, this results in an increased drive to go fishing, and improved patience while fishing. This is especially helpful for heroes with arks, as it is one of the principal ways of catching animals to fill their arks. The only downside of this aura is that, as always, heroes are in favor of annoying their gods above all else and will likely throw in lots of precious artifacts, including activatable ones. Heroes especially love to do this just when a god's finger is hovering over the use button as they know that the god is unlikely to interrupt a hero's fishing expedition in hopes the hero catches something useful, and by the time the hero is done fishing, the god has forgotten about the artifact! Hope that your hero gets a gold brick instead! On February 26, 2016, the aura that helped a hero find special monsters and the monsters wanted by the Godville Times, previously known as the aura of baiting, was renamed to the aura of trail. Surprisingly, not a single hero took umbrage with this change. However, a couple that had the aura of baiting at the time of the change and couldn't figure out whether they had the new Aura of Baiting or the old one. This page was last edited on 31 January 2019, at 01:45.